While the origin of National Dessert Month is unknown, who cares? Every month should be dedicated to dessert! For those of us who are trying to commit to eating more fruits and vegetables, how do you incorporate that goal when it comes to desserts? Well, its not really that hard after all. Using fresh fruit as a standalone snack or dessert is optimal, but for sweet tooth’s, we like these homemade crumbles featuring fresh-picked berries. Fresh berries are packed with nutrition and natural sugar so you can reduce the amount of sugar used in many recipes. Ice cream however, is a non-negotiable. Fresh blueberries will be in great supply from Argentina this month. Our growers there will reach their peak-of-season late October giving us plenty of time to enjoy a crumble or two. 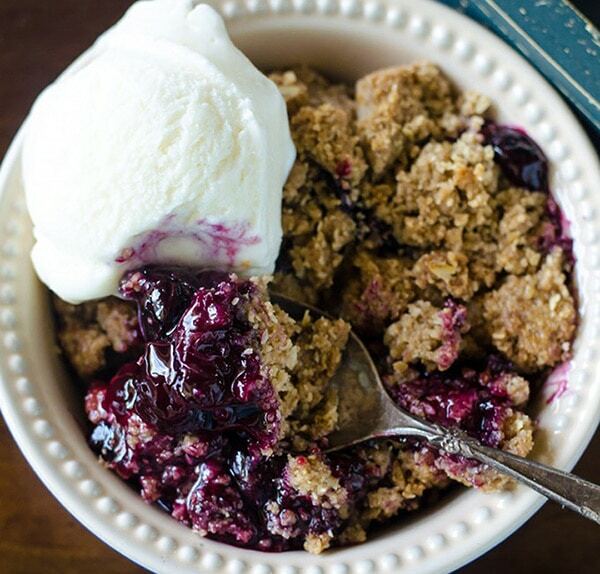 You’ll find this Sensationally Fresh® Blueberry Crumble in our recipe section courtesy of gogogogourmet.com. Enjoy.